The new Sea doo Spark have a 60 or 90 Hp 900 CC Rotax ACE engine. Both the 60 and the 90 Hp version can be tuned with software update to 110 hp! All this can be done with the Maptuner x flasher system. 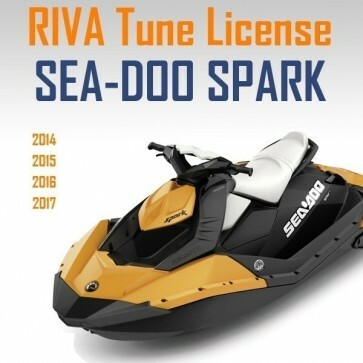 The new Sea Doo Spark have a 60 or 90 Hp 900 CC Rotax ACE engine. Both the 60 and the 90 Hp version can be tuned with software update to over 100 hp! All this can be done with the Maptuner X flasher system. This is a tuning 'credit' that can be used on a MapTuner x for your Spark. When you also purchase the V-Tech Map Tunerx, you'll be able to switch between the 110hp tune and stock tunes. Tuning credits are binded to the VIN and cannot be switched ski to ski. Once binded the credit is unrefundable. Tune works on ALL Spark models and years!